Ready for the big reveal? 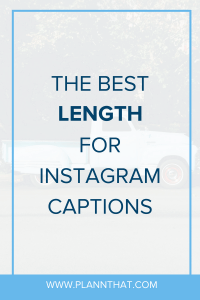 Let’s find out what the best length for Instagram captions is together… yippee! 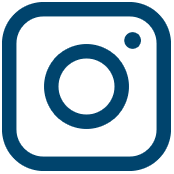 WHAT IS THE BEST LENGTH FOR INSTAGRAM CAPTIONS? To make sure that we got the right answer, we made sure to ask as many people as we possibly could. The Plann team trudged through rainforests (no we didn’t), they clambered down mountain ranges (definitely did not) and they dived into the depths of the oceans (no way) to ask anyone and anything what Instagram caption length they preferred to read. We also did the fairly standard ‘post in a bunch of Facebook groups and ask errybody’ and a cheeky Instagram Stories poll to find out what people’s preferences were for Instagram captions, and let us just say, the results are shocking! 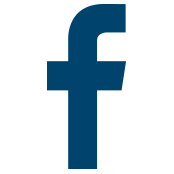 FACEBOOK GROUP RESULTS: WHAT IS THE BEST LENGTH FOR IG CAPTIONS? After asking hundreds of (predominantly women) in Facebook groups we have found that there was a resounding ‘YES’ for short Instagram captions. * Long Instagram captions stress my eyes out! * Short Instagram captions are best, but it does depend on who is posting it. * Short Instagram captions keep me interested, but a good opening paragraph on a long Instagram caption works! PSSST -> Running out of ideas for what to write in your Instagram Captions? Here are a few great Instagram Caption ideas for you! But what classifies as a ‘short’ Instagram caption? When we asked this question to Facebook group members we made it clear that a short Instagram caption is a caption that is up to one paragraph in length. One paragraph = up to four sentences in one ‘chunk’. Phew! Do you think that this vote for shorter Instagram captions is going to make it a little less stressful for you to schedule a few Instagram posts in advance? We hope so! INSTAGRAM STORY POLL RESULTS: WHAT IS THE BEST LENGTH FOR IG CAPTIONS? We couldn’t just leave our investigating to Facebook groups and diving into the depths of the oceans (haha!) 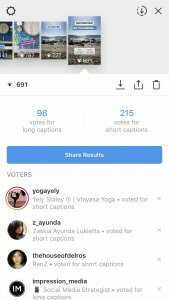 – we also had to create an Instagram Stories poll. Now, given it was a weekend, we didn’t get *as many* responses as we had hoped, but there was still a VERY clear winner for what Instagram caption length is best. Can you guess which length won? Just over two thirds of people who voted in our Instagram Stories poll said that they would rather read ‘short’ Instagram captions! WOWZA, that’s a massive revelation! PSSST -> Want some fresh ideas for what to ask in an Instagram Stories poll? Here are a few that you’re going to L-O-V-E.
WHY ARE SHORT INSTAGRAM CAPTIONS BETTER? A lot of people wear glasses these days, so squinting for less time is preferred when you forget them! So there you have it. If you’ve been putting a lot of time into writing lengthy Instagram captions, try out some shorter captions and then take a look at your analytics to see what kind of results you get. It’s important to keep in mind that while our findings show that a majority of people prefer short Instagram captions, that doesn’t mean that your Instagram audience want them! If your long Instagram captions out-perform your short captions, perhaps it’s your audience’s preference. Or maybe, you write AH-MAZING long captions that keep your audience wanting more. Look at you go, superstar! PSSST -> Did you know that Plann automatically adds perfect (invisible) line breaks to your Instagram captions to keep them clean and easy to read? And it’s FREE!